As the child of two restaurant franchisees, I was already well-versed in the industry when I purchased my first Edo Japan franchise in 2005. Fourteen years later, I own five locations across Calgary with dreams of opening many more in the future. I’ve lived in Calgary my entire life, and I was raised in the restaurant franchise industry. When I was growing up in the 1980s, my mom and dad owned and operated a Subway franchise. From a very young age, my sister and I spent all of our time in the restaurant. Our parents would pick us up from school and we would hang out in the back of the shop, doing our homework and playing around. For the first five or six years they owned the franchise, spending time at Subway was an integral part of our childhood. I saw first-hand the ups and downs that came along with owning a business, from the feeling of satisfaction after having a really busy lunch rush, to the stress when employees didn’t show up for a shift. My parents sacrificed a lot to build their success, and I was happy to do all I could to support them. After high school, I enrolled in a business program at Mount Royal University. I continued to help out at my parents’ franchise during summer holidays, stepping in to run the restaurant so they could take yearly vacations. The experience proved invaluable, as I was able to refine my management and customer service skills. I also realized how much I enjoyed working in a restaurant and interacting with people. In 2005, when I was a semester shy of graduating college, I came across an advertisement for a franchising opportunity with Edo Japan in the Calgary Herald. I was very familiar with the brand, as my family and I had been regular customers for years and loved the food. Established in Calgary, the company’s founder, Reverend Susumu Ikuta, opened the first location in the city’s Southcentre Mall in 1979. Ikuta had spotted an opportunity to make Japan’s traditional Teppanyaki cooking style—which uses an iron griddle, suitable for grilling small ingredients together—more accessible to Canadian customers by building counters in food courts within suburban shopping malls. 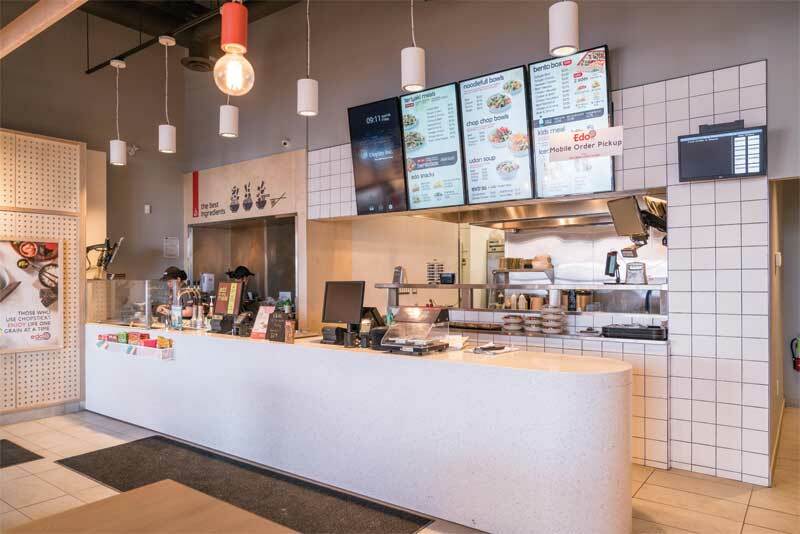 He began franchising the brand in 1986, and soon Edo Japan grew across Alberta, and then into British Columbia and Saskatchewan. In 2002, the company debuted its first ‘street front’ location, expanding the concept beyond the mall. I was already very familiar with Edo Japan when I purchased my first franchise. My family and I had been regular customers for years and loved the food. I spoke with my parents about the possibility of leaving school to pursue franchise ownership and they were supportive—especially since they’d had such a positive experience with their own franchise. I was very interested, but decided to do some research to be sure. My parents and I visited a few Edo Japan locations around Calgary to get an idea of how many customers the restaurant saw during its busy periods. We were very impressed by how much traffic came through. I contacted head office and, after a series of interviews, decided to move forward with the opportunity and signed on as a franchisee. Before opening, I completed four weeks of training at Edo Japan’s corporate locations in Calgary. I learned every aspect of the business, from filing paperwork, to food preparation, to managing and scheduling staff. Later that year, I opened my first franchise near Calgary’s WestHills Towne Centre. The location was a new build on a site that formerly housed a travel agency. For the first few years of owning my franchise, I was in the restaurant every day from open until close. I loved the work, but I had trouble delegating tasks efficiently. I soon realized I couldn’t do everything myself and needed to build a strong team of managers and supervisors to avoid getting burnt out. This was a bit of a transitionary period for me, but head office was very supportive throughout. In 2007, two years after opening my first franchise, the brand continued to expand across Calgary and beyond. There was always a lot of excitement and interest within the community when a new location would open. 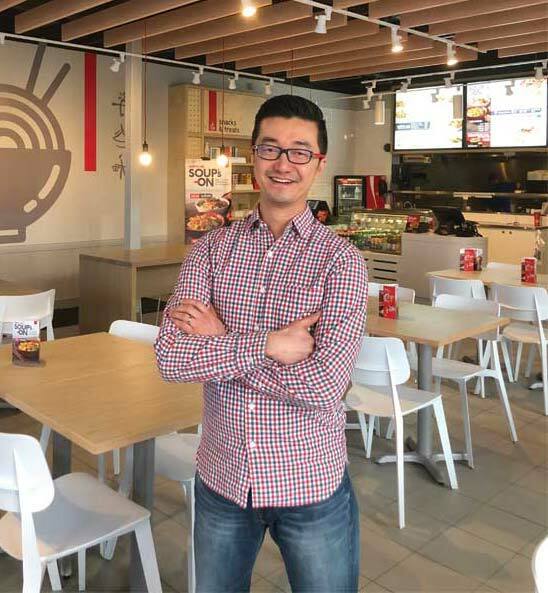 I spoke with the management team from head office and decided to purchase a second new franchise in Calgary’s Crowfoot Village. This opening was more seamless than the first, as I was already familiar with the processes involved in hiring and training staff, scheduling shifts, and daily operations. I’ve since purchased three more locations, all within Calgary: Aspen Landing in 2009, Deer Valley in 2013, and Deerfoot Meadows in 2014.